Crisel Instruments was incorporated in 1994 by a group of optical and electro-optical scientists and engineers with over 25 years of experience on designing and developing instrumentation in scientific and high-tech industrial communities. Our experience also takes advantage of the work spent in a similar company, started in 1981. However, we don’t see our company only as a reliable source for state of the art devices and systems, but also as a consulting team offering a thorough understanding of our customers experiments. We provide system installation, customer training and, when necessary, bespoke systems matching customer requirements. Our technical skill and our dedication to work on customers specifics represent the add on value put on each product we sell. Our product specialists all have strong scientific and engineering backgrounds, have technical knowledge and often attend at in-depth training of engenering, manufacturing and production process, at the companies we represent. In 2005 Crisel Instruments got ISO 9000 compliance certificate, for design and trading of electro-optical equipments, recently extended to ISO 9001:2015 certificate. • Technical support backed up before and after sales by thorough and direct knowledge of the technology we sell. • Personal contact with all our customers due to extensive travelling throughout the country paying visits to their labs. • Marketing plan including advertising, publication of technical articles and news in specialized magazines, sponsoring of conferences and schools, direct mailing to a selected list of 5,000 names indexed according to specific area of interest. 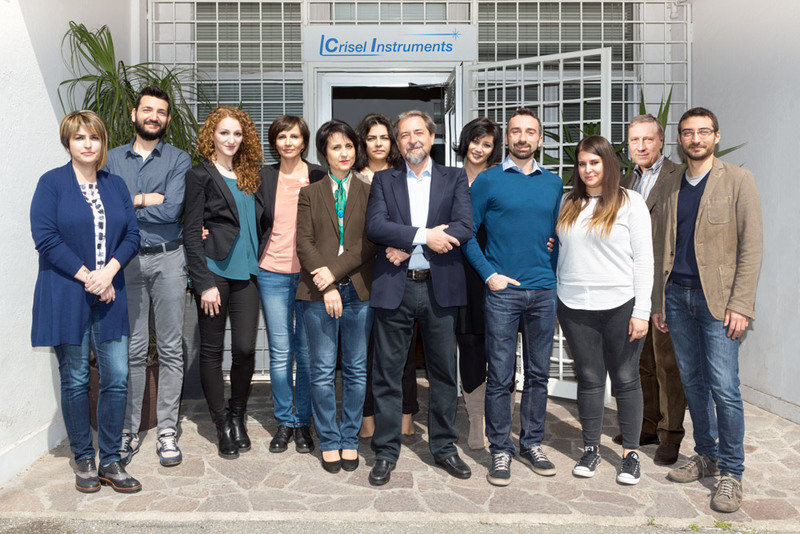 Crisel Instruments is conveniently located in Roma. Our offices include an optical lab where we can test lasers, optical devices and integrated systems for fluorescence microscopy and spectroscopy. Among the tools we keep available for our customers there is a technical library dedicated to our key areas of interest: infrared technologies, spectroscopy, fluorescence biology, confocal and 3D reconstruction microscopy, optical design. Furthermore we have three different computer programs for optical design and ray tracing which are used for supporting our customers during the system definition phase, as well as foronline optical design service. IR and Vis systems for military and industrial applications We have designed and built systems for testing infrared equipment and detectors, we provided our customers with turn-key solutions for testing FLIR, Head Up Display (HUD), detectors parameters and simulation of battlefield conditions. Optical design We offer an optical design service as a free support for our customers or as a product itself. Fluorescence microscopy Complete systems for wide-field fluorescence microscopy, time-resolved fluorescence , and 3D analysis of biological tissues. Spectracell is an integrated system which allows simultaneousfluorescence imaging an spectroscopy on single living cells. X-ray Imaging Designed and developed on the base of our experience, for a relatively low cost X ray imaging. Designed and developed on the base of our experience, for a relatively low cost X ray imaging. System based on AFM/SNOM. The detection as been assembled and optimized by us. Spectroscopy systems CW and pulsed systems for chemical analysis including sample chambers, reference signal and data analysis, these systems have been designed and installed both for lab experiments and on line production monitoring. We monthly arrange an electronic mailing to all >5000 potential and selected customers of Crisel Instruments mailing list: this includes news, new products, technical notes, etcetera… the preliminary version of each mailing page is sent to our principals for their approval, before being shipped to the customers. We carefully look at the product service policy and arrangements, in order to offer an effective after sales support, (and get generated by this, new future sales). We do visit our customers in their plant at least three times a year. We often arrange visits to customers together with a sales engineer of our principals in order to keep the manufacturer “close” to the end user. 3-4 exhibitions in Italy (domestic shows and conferences) where Crisel Instruments has a booth and showsfree dummies or demos, provided by our principals. We do believe in the technical sales training of our sales engineers for update on new products and improving our personnel technical skill. In our sales meetings, we also plan actions to promote the sales for the industrial and OEM oriented products. Contact and follow up of sales leads generated by our mailing, web site, or forwarded by our principals. Our web site is monthly updated by a specialized company. We always look forward to having very long term distribution relationship with our principals (> 30 years for some of them…!). What can Crisel Instruments offer? In a word: experience. All of our Product Specialists are qualified scientists or engineers with a long experience across a wide range of relevant disciplines, on which each one is specialized. The key point is the high level of motivation, interest and engagement of our staff, in their own job. Whether our customers are based in academia, industry or defense, we will work closely to find the best solution for their needs. Together with our Service and Marketing Departments we will provide the companies we represent with the highest levels of support.